To refer to Poland’s capital by its nickname, the “Phoenix city,” is both to honor this East-Central European hub for its resiliency through many wars and to undersell its creative vitality. The city is about far more than just structural rebirth or refurbishments to its palaces, royal gardens and parks, or even the hotels in Warsaw. After all, not long ago the New York Times posited the question, “Is Warsaw the next Berlin?” And it wasn’t the first to ask this. Take the city’s thriving club scene. Krakow may have more bars than any city on earth, but for all-night parties, beautiful people, international DJs, and fantastic venues, Warsaw is hard to beat. 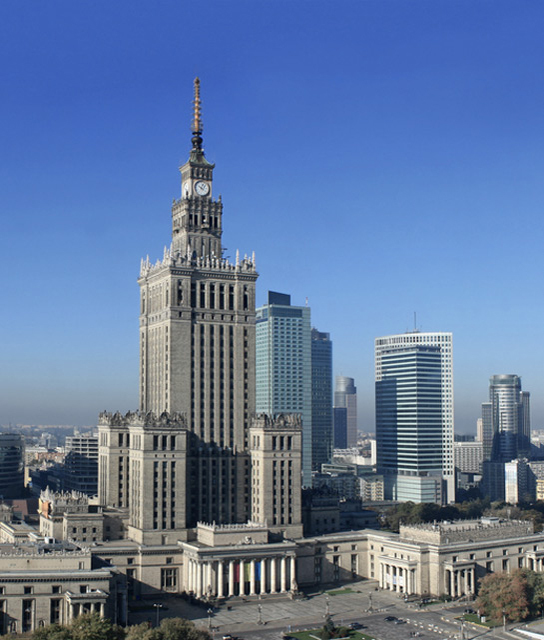 At the same time, business travelers and culture fans are filling hotels in Warsaw as they come for great new offerings, from the Museum of Modern Art to a museum celebrating Chopin. Below find a list of our selection of boutique and luxury Warsaw hotels. From its former seat of influence in Warsaw, the neoclassical socialist H15 has emerged as piece of living history in Warsaw’s old town. Overflowing with creative works by local artisans and with the warm feel of a private apartment, Autor Rooms is Warsaw at its most intimate and authentic.